The 10-year challenge marks a time for reflection, so how do the Liverpool of 2019 differ from their 2009 counterparts? 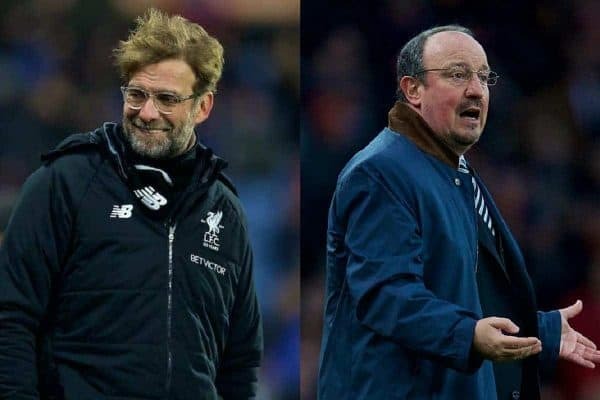 A decade ago, Rafa Benitez was at the helm as the Reds fell agonisingly short of the title in a campaign which went on to amass the club’s highest-ever points tally in the Premier League (86). The 2008/09 season is one which, on reflection, stirs a conflict of emotions as it is as memorable for its entertainment and thrill as it is for the slight misstep which saw Liverpool miss out by the finest of margins. 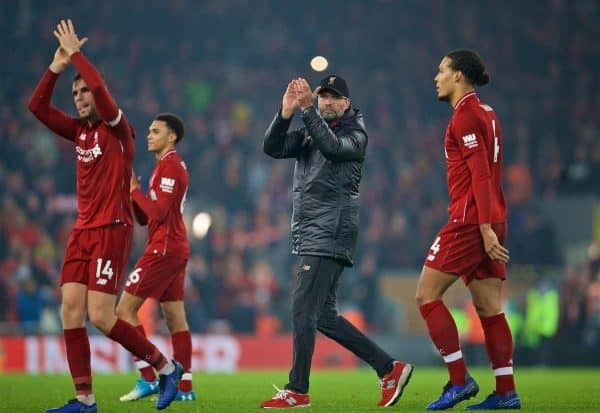 But it was a campaign which would prove to be only one of two tilts at the title at Anfield in the years that followed—that is until present day as Jurgen Klopp’s side currently sit at the Premier League summit with 15 games remaining. The point from then to now has seen Liverpool condense a lot into the last 10 years, from manager upheavals, squad overhauls and ownership debacles to title challenges and near misses. All of which sent fans into a state of euphoria or despair, and everything in between. But how does the Liverpool of 2009 compare to the one of current day? Benitez was in his fifth year in charge when he took Liverpool to the cusp of a long-awaited league title in 2008/09, a period where the Reds hit their peak under his tutelage. He had assembled one of the club’s most complete sides in history, and despite proving to be a polarising figure within the fanbase, he was one of few managers to have taken Liverpool on a sustained challenge for the title. It was a memorable season for a plethora of reasons: finishing as leading scorers, recording the biggest win at Old Trafford for 72 years and remaining undefeated at Anfield, all of which renewed hope that there was an opportunity for sustained success just around the corner. But there would no ‘going one better’ in 2009/10 as a seventh-placed finish followed—the lowest in 11 years—where the fractious relationship between the Spaniard and the club’s owners reached breaking point. 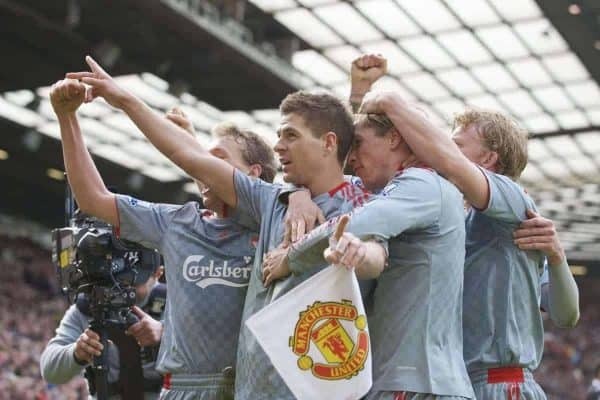 Ultimately, for Benitez, the conclusion of the 2008/09 campaign not only signalled the start of the end for his tenure at the club, but also the end of an era for Liverpool whereby the return to the promised land would prove to be a long and winding road. 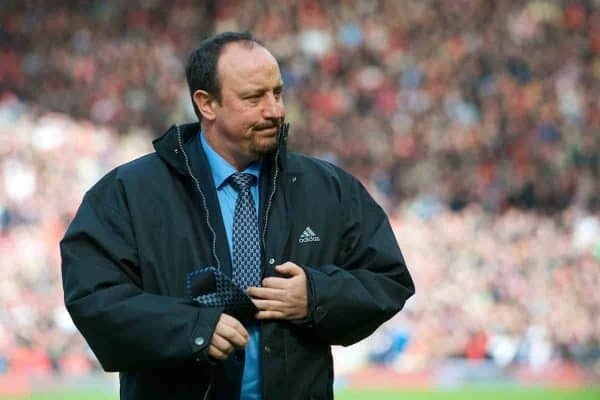 Benitez’s exit in the summer of 2010 understandably left a bitter taste, which only grew stronger in the immediate years after as it signalled the start of a managerial merry-go-round. From the start of 2009 to the turn of 2019 Liverpool have had five managers sit in the dugout within the space of just over five years—the highest managerial turnover in the club’s history. 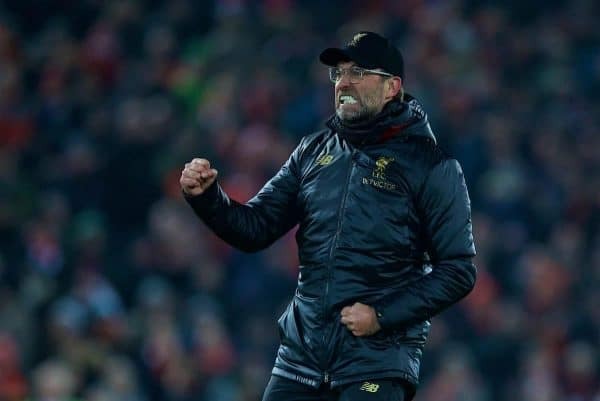 It was only when Klopp was headhunted and subsequently appointed in October 2015 that it felt as though the Liverpool of yesteryear was in reach and that silverware was firmly back on the agenda. After leading the club to a Champions League final and two successive finishes inside the top four for the first time in nine years, the German’s patience to weed out the deadwood, lay the foundations and rebuild have paid dividends. Unlike his predecessor in 2009, Klopp is currently spearheading the Reds’ rise and there is no ceiling to their potential. The Reds are unbeaten at Anfield, are second in the goalscoring charts and having addressed the team’s Achilles’ heel, the defence is now an area of real strength—having conceded just 13 league goals to date, the lowest in the top flight by a margin of four. 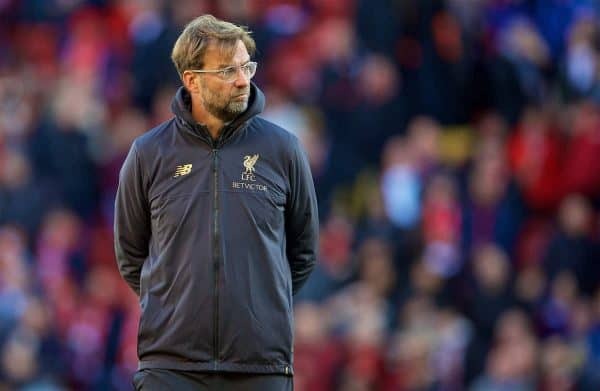 Klopp has transformed the club from top to bottom, but more significantly he has offloaded the fragile mentality and the weight of history which has long crippled Liverpool’s sides of old. 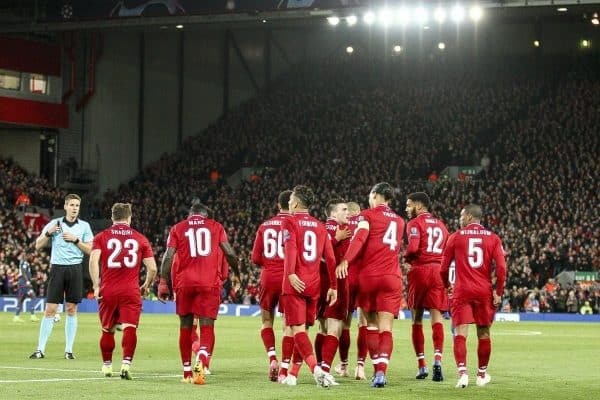 Although there is still work to do with 15 games remaining, Klopp has constructed a side which finally have the look of a team capable of ending the draught. But regardless of what happens come the end of May, he has catapulted Liverpool back to the top table both domestically and in Europe—where they look destined to stay for the foreseeable future. This time 10 years ago Liverpool were second in the table having only just relinquished the top spot after picking up just three wins in nine league games. It was a position they would fail to recover from, but it wasn’t due to the lack of quality within the starting XI rather the lack of squad depth at Benitez’s disposal. The side of 2008/09 was one which had it all: a winning mentality, defensive pragmatism, an electrifying attack and a spine any team would kill for—and it was ultimately one of the best sides not to win a Premier League title. Fernando Torres was at the peak of his powers and had developed a devastating partnership with Steven Gerrard, while Javier Mascherano and Xabi Alonso were a formidable duo and pulled the strings on both sides of the pitch. 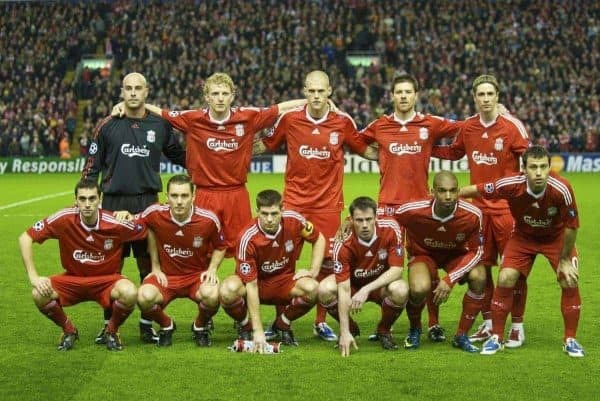 Then there were the likes of Pepe Reina and Jamie Carragher who were both consistent and resolute figures at the back, with Sami Hyypia, Daniel Agger and Martin Skrtel all rotating through the heart of defence with great effect. And a personal favourite of mine, Dirk Kuyt. The Dutchman epitomised everything you want in a player: hard work, a never-say-die attitude and he was always up for the big occasion. In the end, the difference between coming second as opposed to first came down to the quality Benitez had from the substitutes’ bench. A successful summer transfer window provided the perfect opportunity to remedy the situation and ensure the Reds were primed for another tilt at the title, but instead it proved to be the beginning of the end. 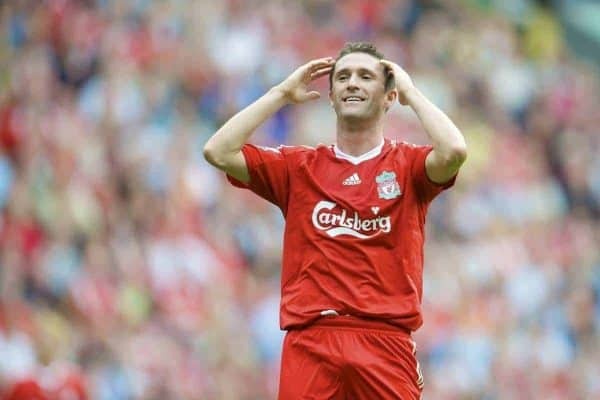 Alonso would depart—a decision which is still lamented—as would star full-back Alvaro Arbeloa and an aging Hyypia, with Alberto Aquilani, Glen Johnson and Maxi Rodriguez added to the fold. Those arriving at Anfield struggled to hit the ground running and by the end of the calendar year the Reds sat in seventh place, where they would remain until the close of the season. The Reds of 2019, however, have been years in the making. 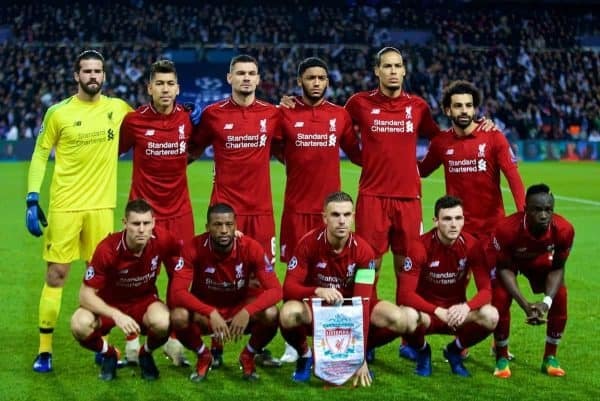 It has been a complete transformation from back to front, where at least eight of the current first-choice XI were not members of the squad prior to Klopp’s arrival. 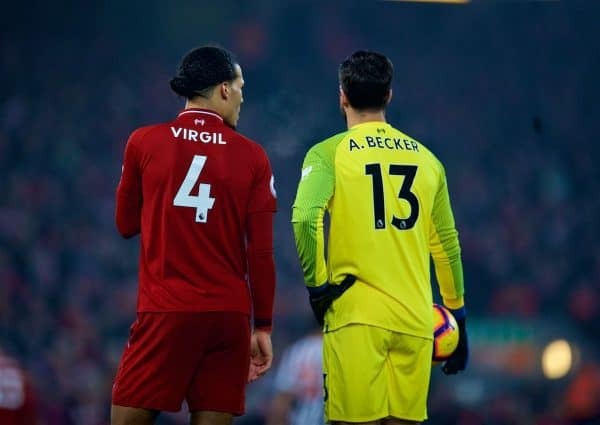 Defensive fragility held Liverpool back for far too long, but the likes of Alisson, Virgil Van Dijk, Joe Gomez, Andy Robertson and Trent Alexander-Arnold have addressed the issue and helped instil a new-found pragmatism within the team—like that of Benitez’s 2009 side. Rarely do the Reds’ attack now feel the pressure to guide the team to three points is solely on their shoulders, as instead there is confidence in keeping clean sheets and seeing the midfield brigade control proceedings with maturity. That’s not to say they haven’t been in electric form, however, with Mohamed Salah, Sadio Mane and Roberto Firmino having combined for 40 goals across all competitions to date to maintain their title as one of Europe’s fiercest attacks. But there has been less of a gung-ho attitude throughout 2018/19, and the personnel available to Klopp has been key to the switch for a more defensive-minded approach. Despite his delayed introduction into the team, Fabinho is one of such players. The Brazilian has become integral to the 4-2-3-1 system alongside Gini Wijnaldum—who has proved to be key to controlling the tempo. Squad depth, meanwhile, isn’t as problematic for Klopp as it was for Benitez. The German has the likes of Jordan Henderson, James Milner, Daniel Sturridge, Naby Keita, Xherdan Shaqiri, Joel Matip and Dejan Lovren to rotate through the side or make an impact from the bench. And what this side has in talent, they match in a resolute mentality and confidence—key ingredients for any title-winning side to possess. But while the Reds of current day have been created and set on course for success off the back of arguably the club’s greatest-ever transfer dealings, in 2009 it all started to come crashing down as recruitment took a hit. The two eras could not be further apart in terms of transfer policy, financial backing and simply being on the same page when it comes to recruitment. 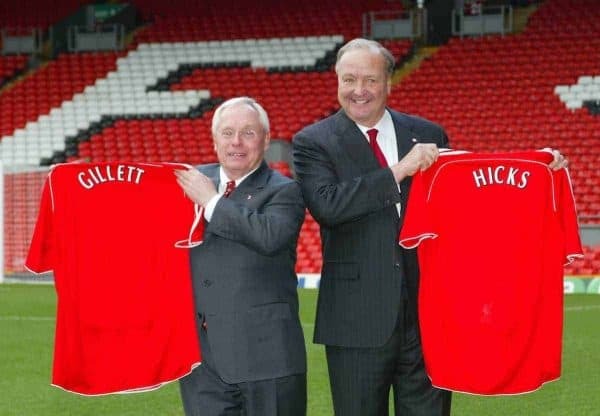 A lack of cohesion in a boardroom which was devoid of an overall tactical strategy saw Liverpool struggle in the transfer market as the fractured relationship between Benitez and owners George Gillett and Tom Hicks proved too much to overcome. Benitez was frustrated by the lack of funds available throughout his tenure but was particularly aggrieved when the sale of Robbie Keane in January 2009 failed to be reinvested. While the Spaniard did secure the signatures of Mascherano, Torres and Alonso in the years earlier, Benitez was not without blame for failing to find a suitable replacement for the latter and overall, there were more transfer failures than success stories. The same cannot be said about Klopp, sporting director Michael Edwards and FSG’s Mike Gordon. Klopp has helped oversee mass changes in Liverpool’s dressing room, taking a team with little direction and quality in 2015 to one which is currently challenging for the title. While it was a steady progression to get to where they are now, the vast majority of players signed under Klopp have proved to be a success, including the likes of Wijnaldum, Robertson, Salah, Mane, Van Dijk, Alisson and Alex Oxlade-Chamberlain. The backroom trio work like a well-oiled machine and while it may seem simple, they only acquire players who fill a need and are wanted by Klopp. In turn they have acquired the key pillars of the side in the prime years of their career and have them secured on long-term contracts. Although the club have broken their transfer record five times within the last year-and-a-half to do so, they remain in a comfortable financial position because the outgoings have been dealt with just as impeccably as the arrivals. The sale of Philippe Coutinho for £142 million is the obvious standout, but the shrewd business of parting with the likes of Dominic Solanke, Danny Ward, Jordon Ibe, Danny Ings and Kevin Stewart for approximately £74 million has been key to the continued on-field success. Despite the relative on-field success that early 2009 brought, off-field it was not a year of many highs. 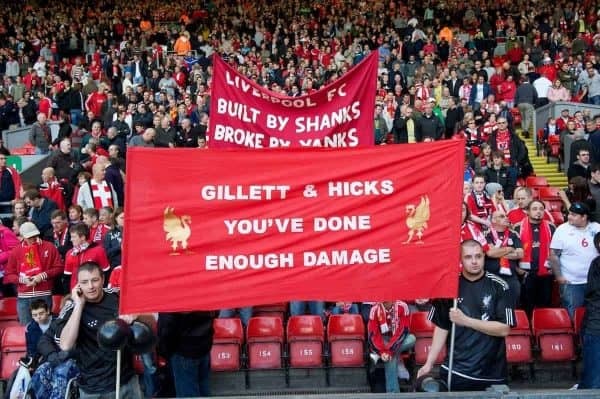 From the time that Hicks and Gillett acquired the club in 2007 it had been nothing short of chaotic as cash dried up and the club was awash with debt. Financial expert Christian Purslow was then appointed as managing director and was tasked with raising £100 million of investment to help pay the club’s loans, but it also resulted in a clash with Benitez as the Liverpool manager grew frustrated that new contracts were coming at a cost to the transfer budget. An £80 million sponsorship deal with Standard Chartered early into the 2009/10 season would prove fruitful in the long run, but at the time it was nothing compared to the club’s £240 million debt. In the end the Americans would drive Liverpool to the brink of administration the following year, before the club was placed in the hands of FSG—who have now turned the club into one set to post a record net profit of over €100 million. Needless to say the difference between then and the Liverpool of current day is stark. It’s not to say there weren’t growing pains or any wrong decisions from FSG, but the owners, manager, players and fans are now all pulling in the same direction. Anfield has been expanded and there is planning permission for further work, and a new training ground for both the first and the academy is in motion. But, for me at least, the most significant and notable difference is the work which extends into the community and the acts of kindness for fans which represents a clear and obvious shift for the better. 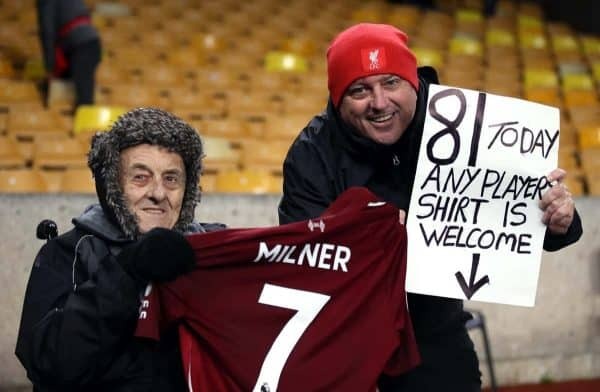 The Red Neighbours campaign, Shevchenko Park and Jamie Webster, as well as Liverpool fans Mike Kearney, who is partially sighted, and Bernard Sheridan, who turns 104 on January 25, have all been met with open arms as the club, Klopp and the players embrace those who make Liverpool what it is. The outreach to the lifeblood of the club has been nothing short of heartwarming and represents all the positive changes Liverpool have made throughout the last decade. Benitez’s 2008/09 side fell agonisingly close to lifting the title having finished second on 86 points, four behind Man United. With 15 games remaining they were in third position on 48 points and despite having a strong end to the season having won 10 of their last 11, their mid-season wobble had proved fatal having picked up only 10 points from a possible 24. Klopp’s team of 2018/19, however, appear in a much stronger position at the top, having amassed 60 points with 23 games on the board—the most of any Liverpool side in history at this point of the season. Against one of the dominant forces of the modern era in Man City, the Reds appear unflappable and determined to see out the remainder of the campaign with the same level of success that they started it with. Although only time will tell if the Liverpool of 2019 will go one better. * Club value data courtesy of Forbes.